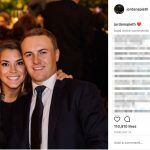 Jordan Spieth’s girlfriend Annie Verret has been a popular topic ever since he burst onto the scene. 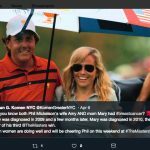 At one point PlayerWives.com was the first site on the internet to talk about her. Since then, she’s become a golf press darling. And, with good reason. 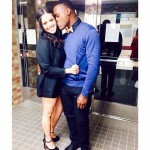 Jordan and Annie met in high school and dated ever since. She even still works as an event coordinator at a place that helps less fortunate kids play golf. That sounds like the ideal way to get Jordan some cameo appearances for kids! In May, Annie celebrated her 23rd birthday and Jordan posted a standard picture on social media. I get the impression he doesn’t like to say too much on the internet. He kept it short and sweet. Annie loves to go to his matches and is frequently photographed on the fairway sidelines. 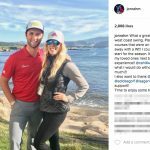 Jordan Spieth’s girlfriend getting to see the world. 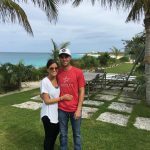 As a traveling couple deep in the world of professional sports. They traveled to New York City and took in the sights and sounds before Jordan competed at Hilton Head. 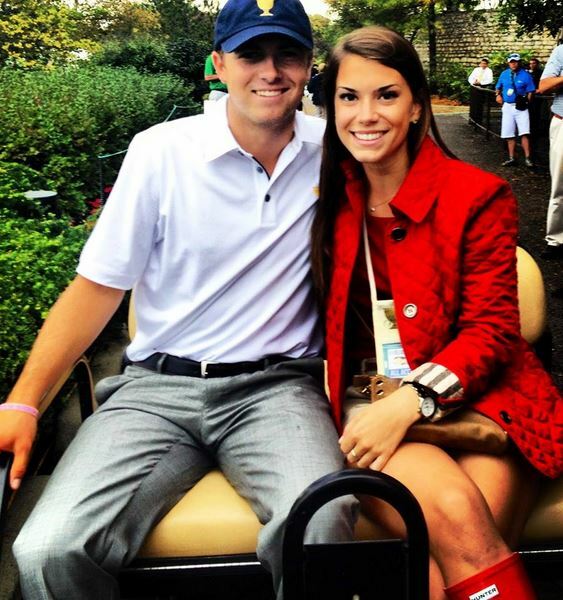 Jordan Spieth’s girlfriend apparently graduated in December of 2014 from Texas Tech. He posted a picture with her in her robes. He called it an extremely successful college career. Jordan wasn’t joking. Annie maintained a 4.0 GPA throughout her time at Texas Tech. Since she’s so driven and focused, she will undoubtedly do a great job in whatever she chooses. They both have laser focus, in fact. However, they also possess a sense of humor. Jordan posted a funny video of himself trying to record a video for the PGA Tour in which he couldn’t pronounce the name of the event. After almost a decade together, Jordan said enough is enough. 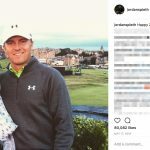 During Christmas of 2017, Spieth dropped to one knee, and put a ring on it. The couple lives together in Dallas. He just bought a home for a little over $7 million outside the city. I’m curious about this place because you can get a lot for a little down there. A $7 million price tag gets you a whole lot. I looked at pictures of the place. It includes a very impressive multi-level wooden spiral staircase. All the rooms are decorated sublimely. No doubt they found a talented interior decorator for the mansion. The outside is also very impressive because of all the sophisticated pool and waterworks. 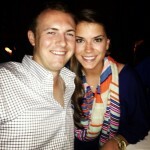 These two know how to live it up away from the links since they live in a “Dallas palace”! Glad to see such a impressive young man win the Masters. It won’t be the last. God bless you and Jordan as he is my favorite golfer. I am a 91 year old Texan from Waxahachie living in California and I wish the best for both of you in married life. Very attractive couple, very very young, don’t rush it, kids! I barely remember being 21 years old. Both of you need to see the world outside of Texas. What a way to make you, Jordan and his parents so happy. Winning at 21 is a blessing and what he worked hard I’m sure for along with his support group and friends always there. Being frim Dallas, it is always nice to hear about the successes in life from Dallas. I’m sure the best of the best will reach out to Jordan the likes of Mark Cuban and others. Humble is what you and Jordan seem to have and that will go a long way. All the best – the journey of success is the best. I just love this guy! He has so much class and honor. please do yourself a big favor jordan, stay away from those hollywood has been hoes like kate Hudson. These desperate older washed up types would love to sink their stinky claws into someone like you. keep it real, you have the best and brightest gal around..hang on to her!! It is so refreshing to see Jordan play golf. I pray that golf will remain fun for him as he is such a delight to watch. He doesn’t grumble (cuss) and get angry or show negative emotions just an inner confidence and strength and peace. Such class! He will go far with his attributes, best wishes to both of you in the future.